By Koldo Casla – odUK: In accordance with international human rights law, countries must take concrete steps to the maximum of their available resources to fulfil economic and social rights progressively. This includes the right to social security and the right to an adequate standard of living. In case of serious economic difficulties, countries can slow down, halt and even reverse some of the progress, but those measures must be time-limited, objectively necessary and proportionate, adopted after meaningful engagement with those most affected by them. They cannot be discriminatory and must mitigate inequalities and ensure that the rights of the most disadvantaged people are not disproportionately affected. These are the requirements of the human right principle of non-retrogression. But tax and social security cuts since 2010 have not met the mentioned requirements of non-retrogression, a briefing recently written by the social rights NGO Just Fair for the House of Commons Work and Pensions Committee shows – and therefore these cuts breach the rights to social security and to an adequate standard of living This means that the UK is infringing the International Covenant on Economic, Social and Cultural Rights (Articles 9 and 11) and the European Social Charter (Articles 12 and 13), both of which have been voluntarily subscribed to by the UK. Brexit will not change that. The Government justified “welfare reforms” as a lever to encourage, “including through benefit sanctions where appropriate, those who can work to find and keep work and to increase their earnings rather than relying on benefits”. However, the UK Statistics Authority cast doubt on any significant causal relationship between “welfare reforms” and the labour market: “The available numerical evidence does not demonstrate a particularly strong causal link between the benefit cap and the decisions made by individuals about moving into work”. The National Audit Office has disclosed that neither they nor the Department of Work and Pensions are confident it would ever be possible to measure whether the economic goal of increasing employment has been achieved. It is true that “welfare reforms” and historically low levels of unemployment have happened at the same time, but correlation and causation are two separate things. According to the European Committee of Social Rights, UK levels of state benefits are not sufficient so as to ensure an adequate standard of living. Families on benefits now have to live without 40% of their required budget, and there are 1.5 million destitute people in our country. That’s the whole of Sheffield, Manchester and Liverpool together. As pointed out by the UN Special Rapporteur on Extreme Poverty and Human Rights at the end of his UK mission last November, “when the Chancellor could have used the windfall he received from the Office for Budget Responsibility to end the benefit freeze a year earlier than planned, he instead chose to change income tax thresholds in a way that will help those better off and will do nothing to move the needle on poverty”. The Equality and Human Rights Commission reports that the largest cash gains from changes to income tax and national insurance contributions were enjoyed by the wealthiest 30%. As a result of changes to benefits and tax credits and Universal Credit, households in the second and third deciles have lost more than twice as much as those in the top 20%. 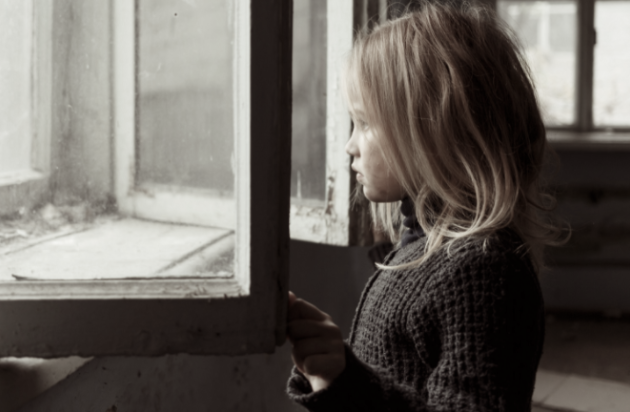 At this pace, in four years from now 1.5 million more children will live in poverty, the child poverty rate for lone parent households (nine in 10 of which are women) will exceed 60%, and households with at least one disabled adult and a disabled child will lose 13% of their income. Lone mothers will lose almost one fifth of their annual income. The weight of local government funding cuts falls on people at risk of harm, discrimination and disadvantage. According to the National Audit Office, local government funding fell in real terms by almost half between 2010-11 and 2017-18. Local authorities that received the largest share of their funding from government grants in 2009 experienced most significant cuts to their service spending, nearly three times as much. The damaging effects of these cuts are also unevenly distributed in society. Minority ethnic groups often live in deprived areas, and cuts to local authority spending has led to cuts in local services many women rely on, such as social care, public transport and services for children. “Welfare reforms” have been particularly harmful for people that struggle the most to make ends meet. Researchers have found a clear correlation between the increase of food bank use and the rollout of Universal Credit, and betweenfood bank use and benefit sanctions. The House of Commons Public Accounts Committee denounced the “unexplained variation” in the use of benefit sanctions in different parts of the country. Reflecting on the role of sanctions in getting more people to work, the Work and Pensions Committee concluded that “at best, evidence on the effectiveness of sanctions is mixed, and at worst, it shows them to be counterproductive”. Both this Committee and the National Audit Office criticised the government for not doing enough to assess the impact of sanctions on people on low incomes.